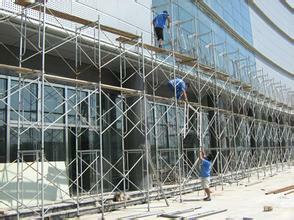 The fastener type steel pipe scaffold is mainly composed of steel pipe and fasteners. 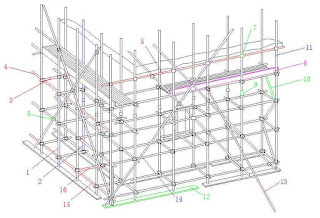 Steel pipe generally USES 48 mm outside diameter, wall thickness of 3.5 mm of welded steel pipe, or 51 mm outside diameter, wall thickness, 3-4 mm seamless steel tube. 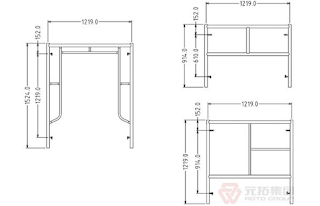 Fasteners including rectangular, rotary and docking fastener. 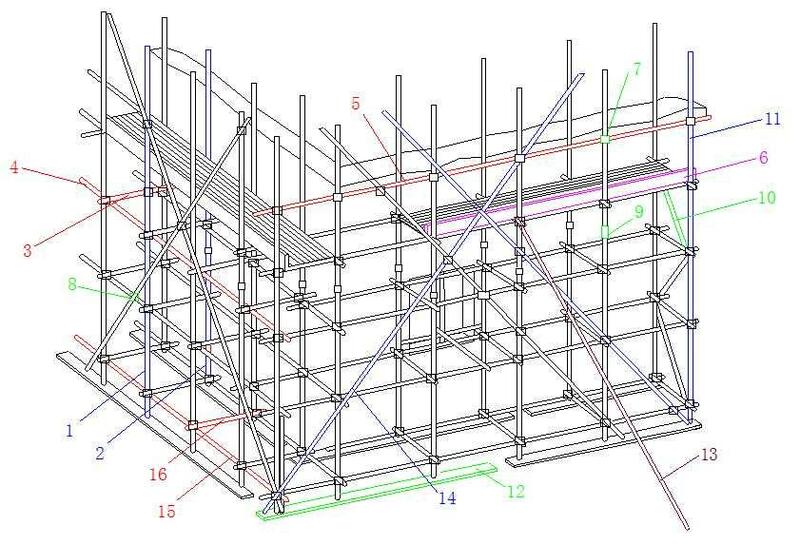 The scaffolding system is composed of steel scaffolding (bamboo scaffolding), small bar, bar, poling and bracing, Rachel parts and fasteners to connect them.